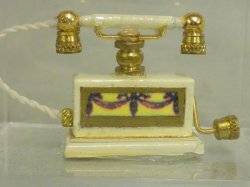 Beautiful white French phone with gold. Also comes in black. We will send the white phone (as shown) unless you put in Comment Box that you want the black phone when you order.